Discover the best recipes for Easter and vigil, find easy and delicious Lent food. We have more than 100 recipes for you with canned tuna, economic recipes and lent desserts. Discover the best recipes for Easter and vigil, find easy and delicious Lenten food. We have more than 1000 recipes for you, from the rich shrimp stock, the tasty cod, to an exquisite deep fried fish. Do you love salads? We give you many options of delicious salads recipes that adapt to your lifestyle, such as salads with chicken or cheese. Find delicious tinned tuna recipes, they are inexpensive, delicious and perfect for the days you want to eat tuna and do not know how to prepare it. Here you will find new and tasty ways to cook canned tuna. If you want to have a sweet taste in Lent, we invite you to discover our rich selection of Easter desserts. Enjoy the capirotadas, torrejas, fritters of lentils, jellies and many more desserts that we have for you. In a country as Catholic as Mexico, here are the 10 things you did not know about Lent. Here a little of the history of this sacrifice that also takes care of the body. Officially, Lent begins on Ash Wednesday and ends just before the Mass of the Lord's Supper on Holy Thursday. We present our best lent recipes for children, they are simple, fast and delicious recipes. Ideal for the little ones in the house. Here you will find from chicken Nuggets to the classic fish croquettes. Strong dishes with shrimp and many recipes with shrimp to eat as a main dish in a meal. Find the recipe for shrimp in mango sauce, shrimp, and other recipes. Find rich recipes of fish ceviche, shrimp ceviche or Peruvian ceviche. Learn to cook fresh and healthy ceviche with your favorite seafood. Do you have a craving to prepare delicious recipes for lentils? Here you will find the most delicious recipes of lent, from baked fish recipes, fried fish and the delicious fish to Vera Cruz. Are you looking for a seafood recipe for Lent? Kiwilimón presents you the selection of our best seafood recipes. Here you will find how to make seafood paella, delicious seafood cream recipes and all the shrimp recipes you are looking for. Are you looking for cod recipes? Here you will find the best ways to prepare this delicious fish, from fresh cod recipes, the rich chickpeas with cod, to the traditional cod in Biscay. The best cooking recipes to prepare this Lent, follow the videos step by step and surprise your family. If you like typical Mexican dishes, you should prepare this recipe for Chilpachole de Jaiba, a soup native to Veracruz. To make this broth thick, you must use corn dough or tortillas, which will also give you great flavor. 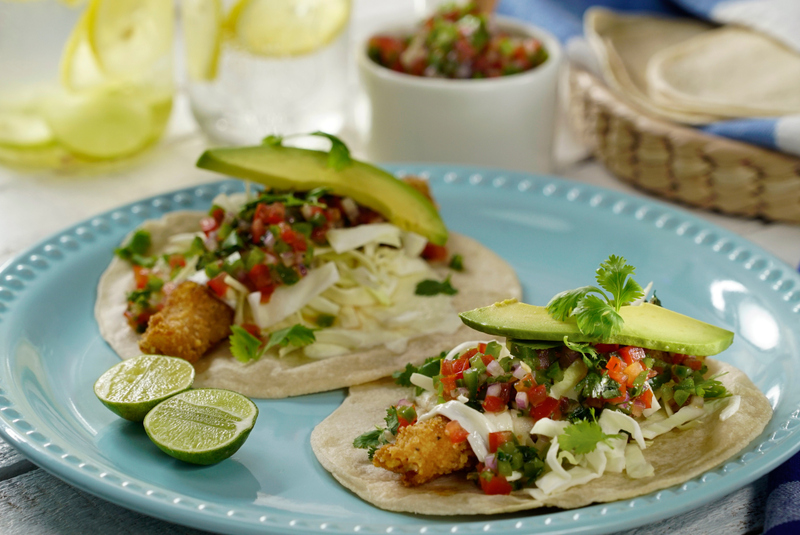 This typical Mexican dish is served with shrimp or crab, what do you crave the most? I share my secret to know how to bake a fish fillet so that you will be as rich as a restaurant fish. Just follow these simple steps. Many dishes ask us weathered to give a final touch more crispy, vegetables like huauzontles, cauliflowers or stuffed chilies or even some fish and seafood. Follow this step by step to learn how to ride, leaving a light golden layer. Did you buy a delicious fish but it brings thorns and you do not know how to get them out? Do not be discouraged, follow this step by step and you will see how easy it is to remove the fish bones so that it is perfectly clean and ready to cook.